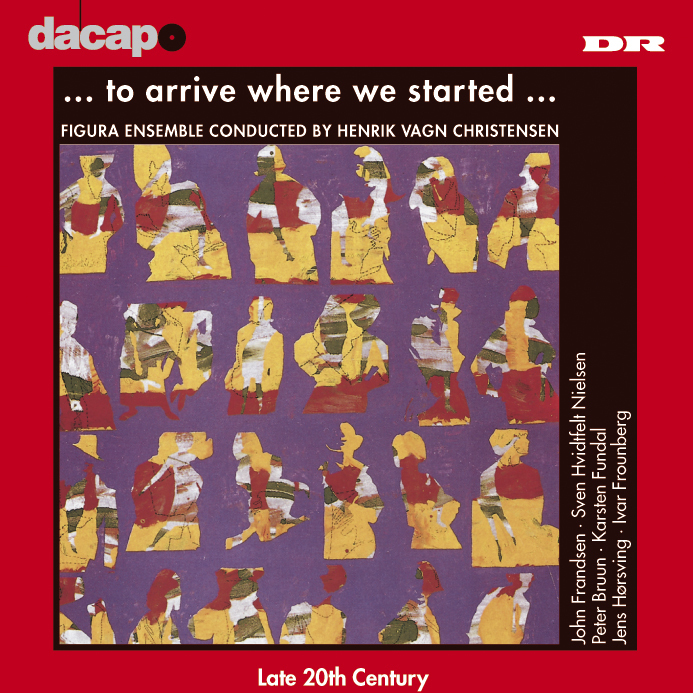 In their expressive and stylistic diversity, the six works on this CD excellently demonstrate what is happening among the younger generations of Danish composers. All the works were written for the Figura Ensemble, which with its quite unique chamber configuration of vocal soloist and instrumentalists has inspired the composers to write music with a particularly rich sonority and aura. Or, as one of the composers puts it, Each composer discovers or invents his own "Figura sound"", which he later dwells on - explores and deepens.""""" I De profundis 5:36 9,60 kr. II A 2:45 6,40 kr. III The Sign of Remembrance 2:16 6,40 kr. Through the Darklands 1996) 15:03 16,00 kr. All Things are His Mirror (1996) 8:28 9,60 kr. Memory (1997) 5:40 9,60 kr. ... to arrive where we started ... (1993) 17:39 16,00 kr. Walk With Strangers (1994, rev. 1999) 9:45 9,60 kr.